It's Khyati here! How are we all doing? Is the start of March treating you well? Thought I'd do one of my first posts loosely based around the fact that I am sitting on my bed in the fluffiest pyjamas I can find - still shivering. 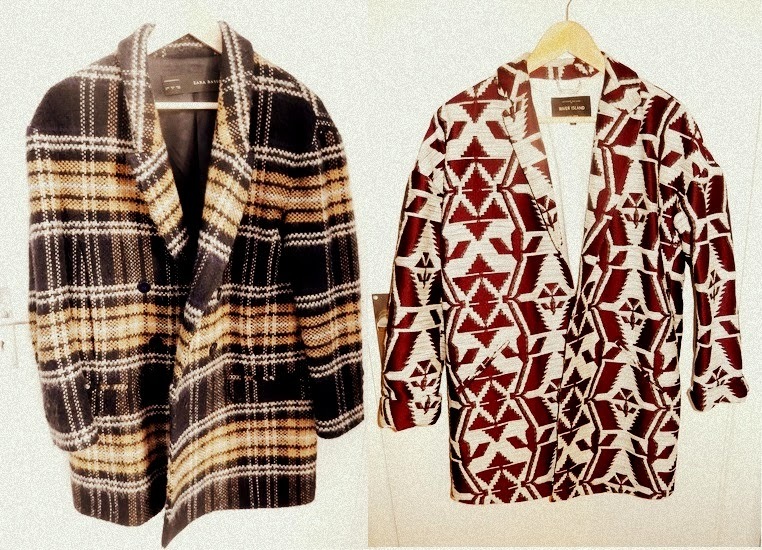 You gotta love being British when it's March 2nd, your heating is cranked up to max aaand it's still perfectly acceptable to be drooling over a coat or three. As some of you who read my personal blog may know, I spent December over in NYC and really pushed the adventurous style boat out by conveniently doing all my sales shopping in the only two stores you are guaranteed to find here in Europe: all hail H&M and ZARA of course. I went to 5th Av (not caj at all I swear) on the hunt for coats: the first being a casual number, the second being a formal, A Line and thus sharper counterpart...and ladies - I succeeded. Cue slightly smug face. The following beauty I have to share... fitting into the casual category nicely and ideal teamed with skinny jeans, boots and oversized scarf, she set me back a whopping $50 - which translates as around £30. Which I think we can all conclude, for a coat from Princess Z, is a bit of a joke. A really really good one at that. Not long after I touched down - in Stourbridge town (doesn't have quite the same ring to it, does it?) - I was back where I was meant to be, in Westfield Merry Hill's cosy confines, in none other than River Island to be exact. A few months ago I posted a photo of a H&M number I'd coined my 'half way house'. By this I refer to that lighter coat which takes you from freezing weather to cold-by-morning-stuffy-in-the-afternoon-and-cold-in-evening weather PERFECTLY. 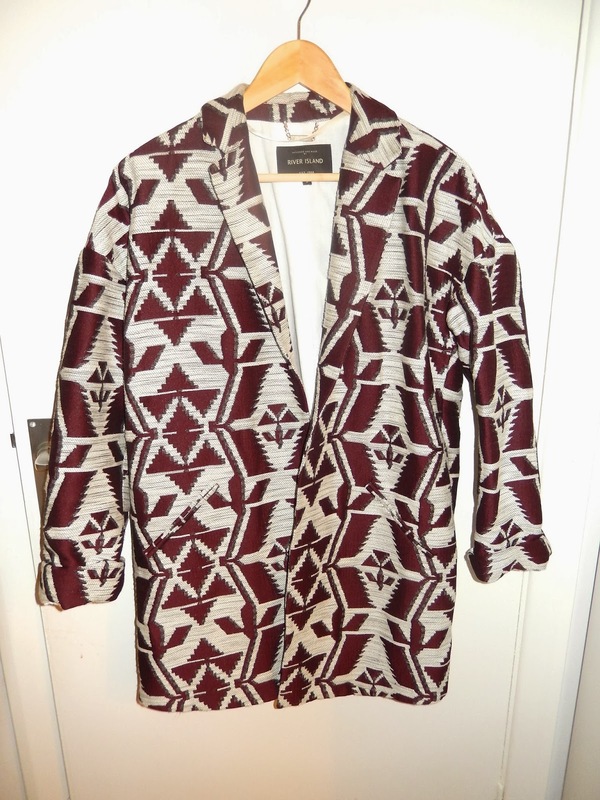 The colouring on this caught my eye immediately, I love the rich maroon aztec pattern. And yes - I also loved the price tag. Formerly £80, but lucky for me, came in at £35. .... I'd love to say this is all I've bought but I'd be lying. 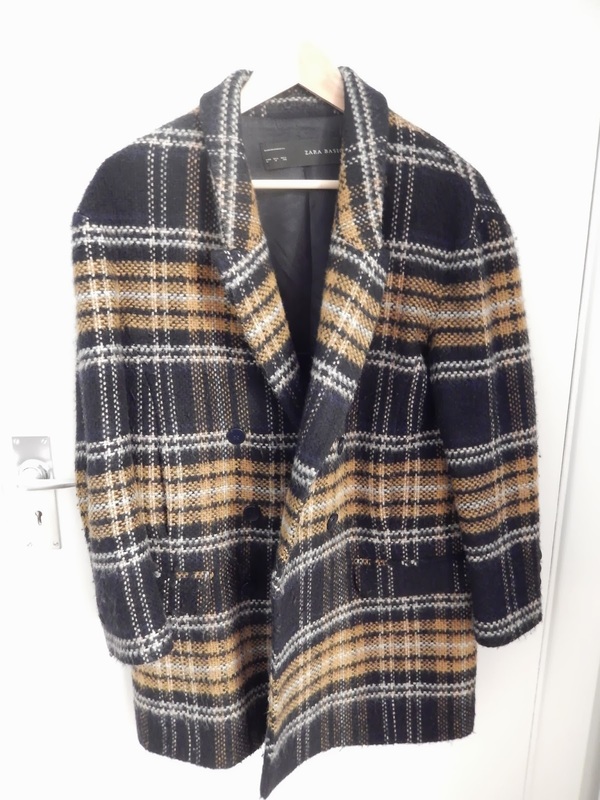 My bank balance is constantly reminding me otherwise, but these two purchases will be in the wardrobe for a long time judging by the durability of my previous Zara coats and the teeny tiny window I have to actually wear the River Island number - joy.